Currently unsupported devices for the camera measurement: iPhones 4S, iPads and iPods - These devices require a chest strap. If you like the updates, please take a few minutes to the review the app. It makes a difference. Thanks! p.s. let us know if you'd like to experiment more. Happy to send you Camera HRV for free. 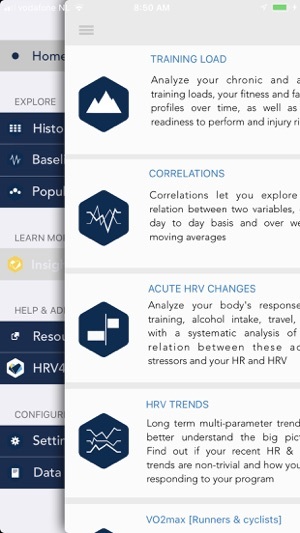 The best app out there for HRV! What can I say I’m impressed. 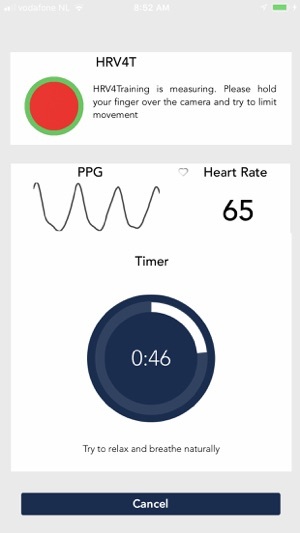 I’ve tested and downloaded several other HRV apps but they either required an external or didn’t support the new Apple Watch feature that supports HRV. Even though this app doesn’t support the Apple Watch either, it still offered the ability to use my existing iPhone. Don’t be fooled, the iPhone camera works just as great. I used to use the camera for other things to measure HR and I found it to be just as accurate. 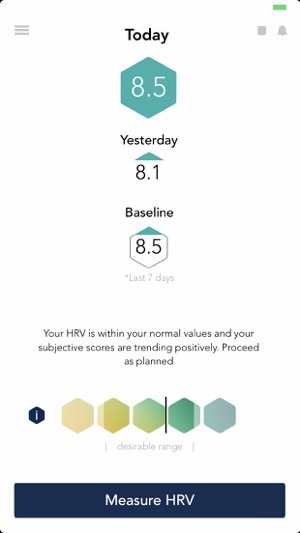 The HRV was spot on at least referencing against the Apple Watch readings. As for the app, there are some bugs that I’ve worked with Marco to resolve so while minor he has worked with me. 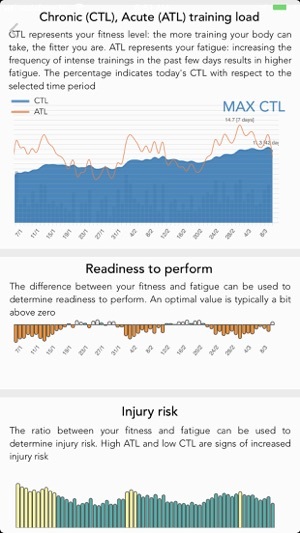 I do acknowledge that most of these HRV apps tend to favor runners, cyclists, or triathletes. Fitness and CrossFit folks are just as interested in peak training. Remember us too! Lastly, the insights are great and this is the kind of easy advice I was looking for. 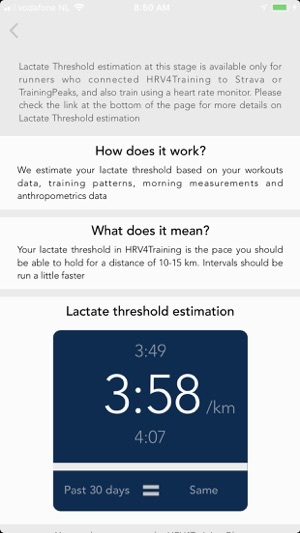 Integration with other apps to include Strava and Training Peaks is a plus. A negative is the inability to get into the weeds with your data or edit but I just found out they have a Coach app that will allow you to do that and I might have to investigate that! Overall very impressed and hope they keep developing this app. They sensor on the Apple watch has been proven to be accurate. 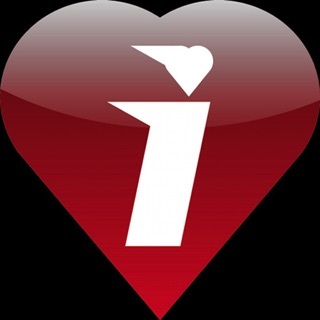 (Yet no watch integration) A cardiologist actually laughed at the fact that this app uses a camera. We measured simple heart rate and found this app to be extremely off base. If it uses heart rate as a measurement in the hrv calculations, but it can’t accurately measure that, then how can they claim any accuracy at all? I appreciate the response. Maybe it would be helpful to inform users before they buy the app that to get a true measurement, you need to have a Bluetooth monitor. Also I will add that I did not say anything about the health app measuring hrv. I just said that when i discusses it with my cardiologist, the cardiologist and I checked the heart rate before and after a stress test on my watch and then tried the hrv app with the camera. HRV4Training was very inaccurate. (If I can’t get an accurate bpm from your app (it was generally at least 20 bpm or more off while measuring with optimal connection) then how can it be trusted to measure R-R intervals? 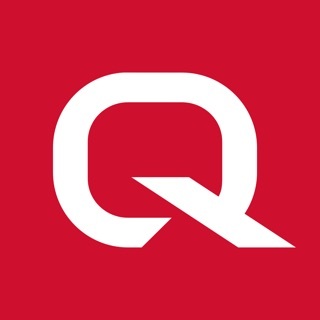 hi there, thank you for your message and sorry to hear about the trouble you have experienced with the app. 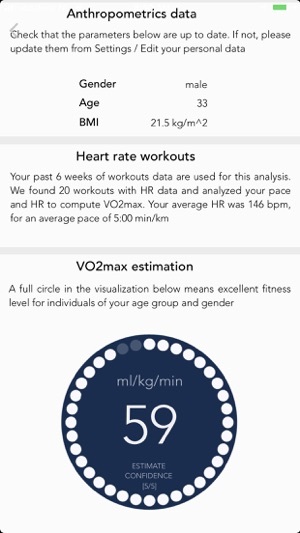 I would like to point out that it is not true that the Apple watch is an accurate sensor for HRV analysis, and even when it behaves correctly (for example for average heart rate under certain circumstances), it cannot be used for HRV analysis. It is important to understand that the Apple watch cannot be used as a regular sensor (like a chest strap via Bluetooth), as it does not comply to standard protocols, and beat to beat data cannot be transmitted or read (same for raw data). Apple recently added SDNN as an HRV feature that is written to Health from time to time, this feature is not representative of parasympathetic activity, or in other words of physiological stress, and is not very useful unfortunately in the context of short (1-5 minutes) physiological measurements. Additionally, the HRV value is written completely out of context (at random times of the day), hence what is measured is simply the effect of acute stressors or external transitory stressors, which are not really what we are interested in. When using HRV4Training, we try to capture baseline chronic stress, with a measurement clearly contextualized as taken first thing in the morning, before we are affected by other acute or external stressors. Please note also that while there is absolutely no validation of the Apple watch as a device able to measure beat to beat heart rate (RR intervals) and HRV correctly (and even on heart rate literature is conflicting), we did validate our technology, and your cardiologist might be simply misinformed or not up to date on the latest technological developments. This is normal, as this is a new mean to use this technology, but I would maybe ask or read a little more before taking that comment as an absolute truth (or simply ask us!). PPG from cameras has been used for decades, and right now is simply easier to do given the improvements in mobile phone technology. You can check this publication for more details: https://www.researchgate.net/publication/315059917_Comparison_of_Heart_Rate_Variability_Recording_With_Smart_Phone_Photoplethysmographic_Polar_H7_Chest_Strap_and_Electrocardiogram_Methods - Finally, should you have an interest in learning more about the physiological underpinnings of HRV, available technologies, best practices and applications, I put together this deck recently that I hope you can find useful - unfortunately there is still much confusion out there: slideshare.net/marcoalt/heart-rate-variability-technology-and-applications?trk=v-feed - Next time you have concerns or doubts, please contact us as we do our best to answer to everyone and explain these different aspects. Have a nice week. I’m loving this app!! Deceivingly simple to use. Incredibly useful insights. To get this level of physiological insight for $10 bucks is simply AMAZING. The fact that it can all be done with the phone you already have is downright awesome. Hats off to the developers!! Athletic improvement comes from stressing the body and then allowing the body to recover and adapt. The whole point of training is to give the body the maximum amount of training stress it can recover from before the next workout. But how much is too much? Training and life stress can accumulate in quite unintuitive ways. Especially over time. 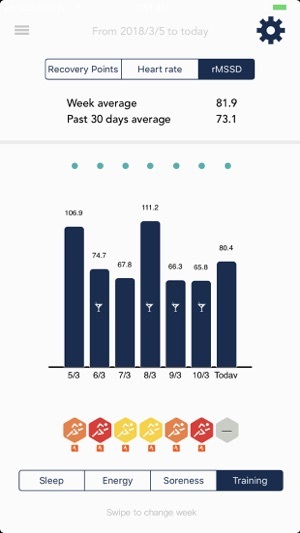 That’s what this app helps you to understand and it does it with a direct measurement of your particular physiological “state”, and then tracks that over time. I linked it to Strava and Training Peaks (super easy) to pull in workout data and now have a single point of reference for monitoring fatigue. Just great. 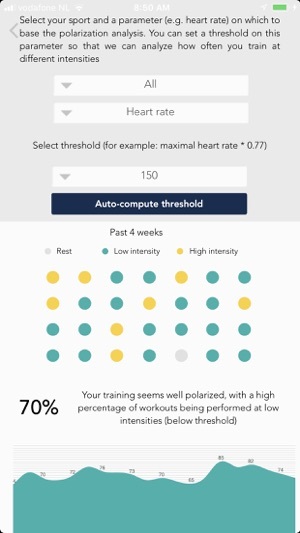 If you want to optimize your training time and efforts this is absolutely the app to get. Incredible value for the $$.